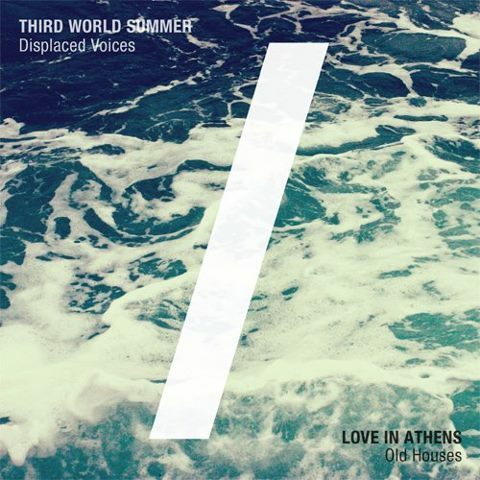 The split single, “Displaced Voices / Old Houses,” is the debut Number Line Records release from Third World Summer and Love in Athens. While these two artists take different approaches to electronic music, both tracks on this release traffic in a sense of movement, switching from uptempo beats that evoke dense city environments to dreamlike images of the past, the coast, and urban escapes. “Displaced Voices” introduces Third World Summer, the brand new project of Seattle’s Allan Lumba. Combining layered vocals with quick beats that recall travels in and out of the city, the track takes Lumba’s favoured themes of distance, melancholy, and nostalgia and works them into a hazy summer track that demands repeat listening. Originally conceptualized as a post-rock project, Love in Athens (Francis Maria Regalado) has been experimenting with a new synthpop sound. Some of the results can be seen in “Old Houses,” a track that merges shimmering synths and strong base frequencies to represent what Regalado describes as “a human pulse in the middle of a heartless urban setting.” “Old Houses” also gives a sense of things to come from Love in Athens, who will be releasing a single, “Pinnacles,” and an EP, Half-awake in the Morning Haze, later this summer.